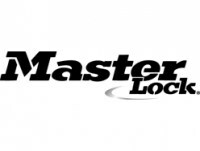 Keep your keys safe with the MasterLock High Security Extra Large Key Safe. The 5426 High Security Key Safe from Master Lock has an extra large internal storage capacity, which accepts multiple keys and access cards of all types. 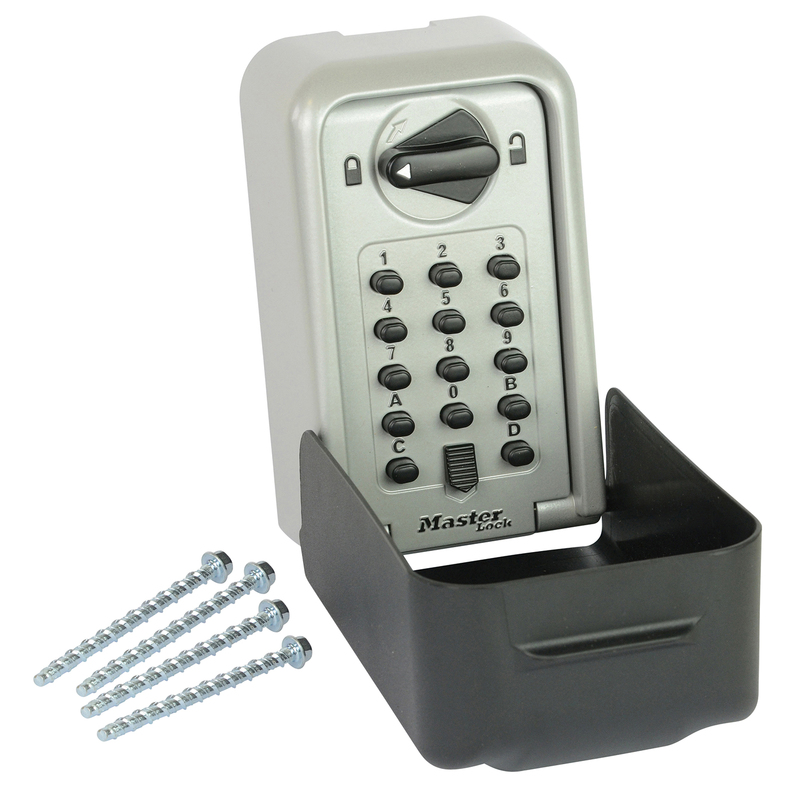 It has a number of desirable features that make it a well-protected product, such as: its heavy duty zinc construction with recessed door that makes it highly resistant to attacks and its removable black ABS plastic weather cover for added conservation. 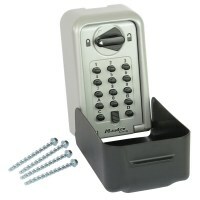 The product's reliability can also be seen by the fact that it is both Sold Secure and Secured By Design approved. The Master Lock Key Safe uses 14 large push buttons as part of its combination mechanism, with up to 16,000 potential combinations; incorporating both letters and numbers. This product comes supplied with all necessary fixings.